DALLAS – Mar. 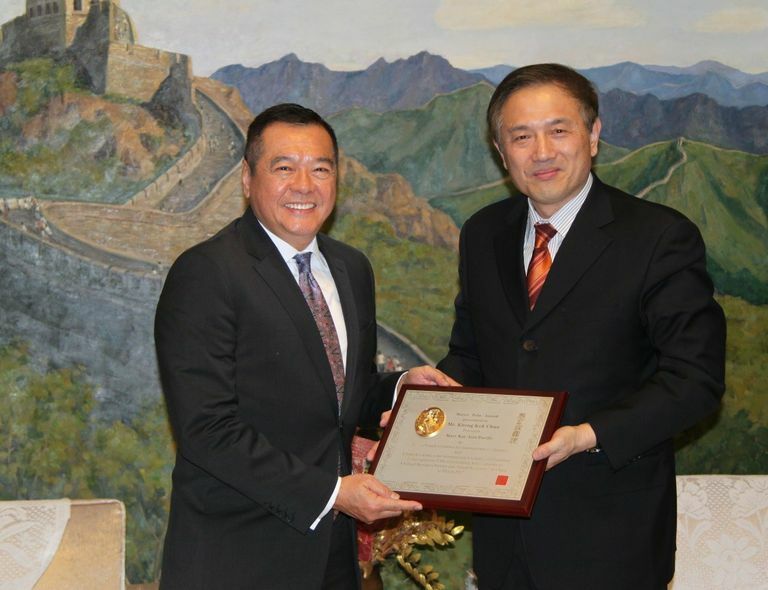 17, 2017 – Mary Kay Asia Pacific Region President KK Chua, left, receives the Marco Polo award from Lu Ming, deputy administrator of the State Administration of Foreign Experts Affairs, in Beijing, China. The award, presented by the State Administration of Foreign Experts Affairs China, China Association for International Exchange of Personnel and U.S.-China Foundation for International Exchange, recognized KK’s and Mary Kay’s remarkable contributions to talent exchange between China and the United States. To date, more than 30 executives, entrepreneurs and politicians around the world, including former U.S. President George H.W. 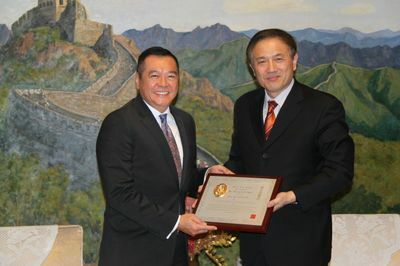 Bush have received the award.